Home gets inspected and treated for carpenter ants in spring. Checked and pre-treated for flying insects in June/July. Don’t get stuck waiting for the bugs to put pressure on you!! Stay ahead of the game. Book your plan now! There was a time when most rodent issues were found in cities only near urban ports, restaurants and factories. With the movement over the past 30 years, from the city to the suburban areas, rodents have also moved and adapted to this environment. Mice are probably the most common issue in our region due to their ability to fit through the smallest of openings. Mice are great climbers with tremendous balance, and once mice are inside, they will explore all floors and cavities of the home. Mice “droppings” are small black rice like feces that can be found almost anywhere. For instance, under stoves, refrigerators, kitchen cabinets or anywhere else the mouse may have been. Mice are commensal because of their intimate relationship with humans. Snap traps are only a temporary fix to any rodent problem. 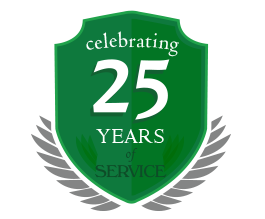 Amherst Exterminators provides a thorough rodent inspection to the entire property and is not just limited to the home. A lot of rodent problems thrive from the exterior environment surrounding the home. This type of inspection allows our technicians to tailor a program that is beneficial for your property. No two rodent problems are the same. Rats have become more of a concern in our region over the past 20 years in certain townships. Due to people in the park feeding the birds, squirrels etc., Outbreaks occur when rats and mice begin to adapt to their surroundings. Rats have considerably larger droppings than mice and are more the size of uncooked pasta elbows, but are black. The shinier the feces is, the more recent the rodent was in the area. Rats are about 15 inches long, have a long tail and are usually brown. We recommend that you let Amherst Exterminators inspect and handle your rodent problem. Rats can reproduce quickly and their feces has been associated with numerous diseases. Rodents leave evidence to help the homeowner know that they have been there. Call Amherst Exterminators to professionally inspect and treat the problem quickly and effectively. The new home construction over the past 30 years has turned over millions of pounds of rich soil that contained millions of insects. All this soil momentum has disturbed where the insect live & breed. The home that you just built has also become their home. We like to break down ants into two basic categories that are easy to understand. In our area you will find two sizes of ants. The first type of ant is small, has a head the size of a pin head and are up to a half inch long. This particular ant usually nests in the ground, under a stone or concrete block in your foundation. This species of ants are called pavement ants. These ants can usually be treated by baiting directly into the nesting site. This type of treatment is very effective and is often taken care of with one treatment. The other species, the large black ant is known as a Carpenter Ant, which during a certain time of the year are mistaken for termites. Carpenter ants tend to fall into the nuisance category, as they usually appear in the spring when the weather starts to change. This ant species will pour out of the ground, landscape timbers, and are often first noticed in the kitchen. Carpenter ants react to the weather as they have no self-held temperature of their own. It is not wise to start grabbing the nearest drug store liquid poison and spray them. Carpenter ants need to be strategically baited to help reduce their massive number of ants in their colony. Remember, we don’t want to make the problem worse. Professional baiting by Amherst Exterminators will gain control and begin to thwart the spring ”herd” of ants into a manageable situation. The Carpenter Ant is among the nation’s largest ant. Our region is much like the Pacific Northwest and has an abundance of moisture in the form of precipitation, rich soil and wooden homes. From the homeowner’s perspective, Carpenter Ants should not be seen indoors and should not be tolerated indoors. 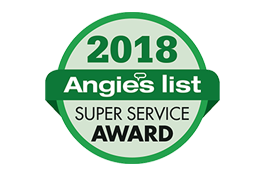 Amherst Exterminators perform more Carpenter Ant inspections and treatments than anyone else in Amherst or the surrounding areas. Our treatment comes with the very best warranties and our service is second to none. There are many “MYTHS” associated with Carpenter Ants. First off, unlike termites, Carpenter Ants’ only nest is the saturated wood. Carpenter Ants only chew though the wood to make their nest bigger and are not consuming the wood for nutrition. Only a portion of the Carpenter Ant colony makes it into the home. Carpenter ants forge until they find a suitable nesting site. In severe infestation, sawdust or frass will be found inside the structure. The color of the frass is usually brown and will often contain dead insect parts inside the frass. A crunchy snap like sound can often be heard when Carpenter Ants are chewing inside the home. These are just some of the signs to look for come spring. Many problems can be quickly identified and serviced to prevent future problems. The first signs of foraging Carpenter Ants usually occur mid to late March depending on the thaw. If ants are seen over the winter, this means the problem is bigger and more severe. Our goal is to inspect the home and find the problem areas before the ants get out of control. Moisture problems are usually the cause of Carpenter Ant problems inside the home. The moisture over time starts to rot the wood, allowing the Carpenter Ants access to a nesting site. Once springtime emerges and we approach June, the Carpenter Ant mating begins. This will cause the homeowner to witness large black ants with wings. These are not termites. Every year we run into homeowners who believe these ants are termites. Termites do exist in Western NY, but it is rare for this area. If there is ever a doubt save a sample so Amherst Exterminators can positively identify the insect. The first week of June brings the nuptial flights of winged black ants. They fly in the air and mate, then drop to the ground. The males die off, and future queens find or are brought to new nesting sites, where they chew off their wings to provide nutrition for their first brood. The beauty of this is the queen only needs to be impregnated once and she can lay eggs the rest of her life. She also can reproduce whatever caste member of the colony is needed. Carpenter ants normally prefer landscaping wood timbers, trees with fungus, and old wood decks to name a few. Much of the shrubbery and roots that were planted when Amherst was first developed over 30 years ago, are vulnerable to Carpenter ant activity. Remember: the Carpenter ant is here to stay, so call the professionals at Amherst Exterminators today!